Miami, FL, June 28, 2017 – Interval International, a prominent worldwide provider of vacation services and an operating business of ILG (Nasdaq: ILG), announced the affiliation of the newly opened Marriott’s Waikoloa Ocean Club on the western shore of Hawaii’s Big Island. The 112-unit, oceanfront property shares amenities with the adjacent Waikoloa Beach Marriott Resort & Spa. “With the addition of Marriott’s Waikoloa Ocean Club, our first on the Big Island, we now have a total of six resorts throughout Hawaii and are excited to offer more options to our Owners and guests. The mix of natural and cultural wonders is absolutely spectacular,” said Ed Kinney, global vice president of corporate affairs and communications for Marriott Vacations Worldwide. 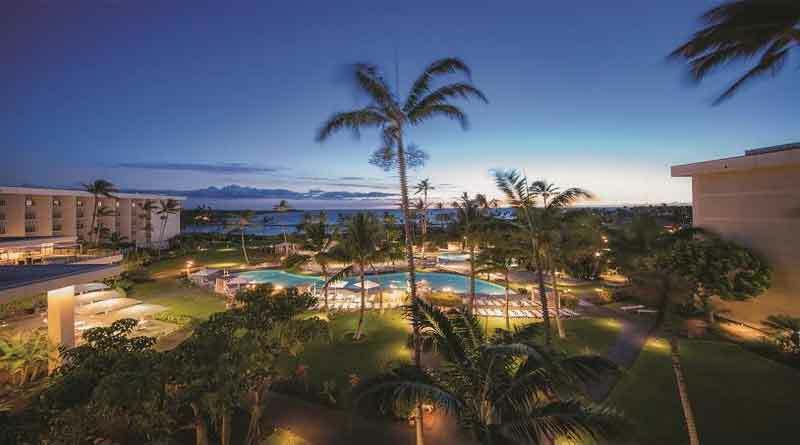 Overlooking the tranquil waters of Waikoloa Beach, the pristine resort offers multiple lagoon swimming pools (including one for children); waterslide; onsite beach; fitness center; tennis facilities; and cultural activities, such as lei-making classes and hula and ukulele lessons. Next door at the Waikoloa Beach Marriott Resort & Spa, guests can also enjoy rejuvenating treatments at the full-service Mandara Spa, sunset luaus, and local fare at the indoor-outdoor Hawaii Calls Restaurant & Lounge. Spacious one- and two-bedroom suites, which can accommodate up to eight guests, feature modern furnishings, living and dining areas, kitchenettes, washer/dryers, LED televisions, patios or balconies, and complimentary Wi-Fi. Vibrant design elements pay homage to the island’s rich culture and diverse landscape. Waikoloa Beach is home to two championship golf courses and a variety of shopping, dining, and entertainment options. In addition, the area is known for its cultural and geological features, including a historic coastal pathway known as “King’s Trail,” ancient fish ponds, lava pools, and petroglyphs. In surrounding areas, guests can explore lush rainforests, active volcanoes and breathtaking black sand beaches, among many other adventure experiences. Marriott Vacation Club is a global leader in vacation ownership with a diverse portfolio of more than 55 resorts and 12,100 timeshare villas throughout the U.S., Caribbean, Europe, and Asia. Marriott Vacation Club is a premium vacation ownership program that provides Owners and their families with the flexibility to enjoy high-quality vacation experiences. For more information, please visit www.MarriottVacationClub.com. ← Outgoing World Travel & Tourism Council (WTTC) President & CEO sets out what he sees are the trends shaping the future of Travel & Tourism.